The Xtend-Life Immu-Stay used to be called Xtend-Life Viral-Protec, but has since been renamed, and is a well known vitamin blend specificly to improve and bolster our immune system. Xtend-Life's mission is to combine eastern natural medicine with western medicine and technologies, to create the best natural pharmaceutical grade health supplements and skincare products in the world. As part of their ongoing marketing for all the Xtend-Life range, the Immu-Stay also uses science to get the best out of what nature, natural and herbal medicine has to offer. Immu-Stay was created after prolonged and rigorous inhouse clinical research and studies by Xtend-Life (will cover more below). As it's so rigorously researched and formulated, combined with its high quality raw ingredients has led to Immu-Stay to be a strong force in the colds and flu supplement market. Xtend-Life manufactures all their natural and organic health supplements and skincare products in Good Manufacturing Practices (GMP) facilities - GMP facilities are very strict standards of manufacturing that includes testing raw nutrients and ensuring its purity/quality, the encapsulating process, the cleanliness of the facilities, and even employee training. These pharmaceutical GMP standards also are compliant with the rigorous United States Food & Drugs Administration (FDA) standards. Xtend-Life's mission and vision is to combine the best of western allopathic medicine with the best of naturopathic herbal medicine using state of the art technologies and supported by in-depth clinical research. So, what about Xtend-Life Immu-Stay? Xtend-Life says that all the ingredients in Immu-Stay serves to improve, restore and support our human immune system and at the same time helps to fight against recurring and existing symptoms and conditions. The Immu-Stay product includes many extracts from medicinal herbs, and the extraction process is certified to be compliant and meets standards set by the British Pharmacopeia - this is very, very impressive for a supplement company. Of the list above, the most noteworthy are the siberian ginsend, tumeric and the Indian echinacea. The Indian echinacea has clinically demonstrated with clinical testings to contain immuno-stimulants as well as anti-bacterial characteristics. Also, echinacea has shown in clinical research to contain active antibodies, anti-allergy activity, and mass cell-stabilizing properties. All these lead to improving your body's natural defense mechanisms against diseases. A positive by-product of cell stabilization is that it leads to decreasing the rate of cell oxidation (means that it slows cellular damaging, and in layman terms, it slows down aging) - not many vitamins for immunity and immune systems will have this function. You see, oxidation and aging are deeply inter-related. Anti-oxidants serve to arrest/slow down free radicals that cause rapid oxidation, and slows down the human aging process. It's a fairly good by-product of taking care of our own immunity. Another strength of Immu-Stay is that it is classified as a pharmaceutical-grade health supplement because of Xtend-Life's compliance to GMP and FDA, as well as it being in New Zealand. New Zealand's government arm, the Ministry Of Health (MOH) has very strict regulations on supplement companies, and any supplement companies in New Zealand has to comply with very strict governmental regulations, which is equivalent to the United States Food & Drugs Administration (FDA). This level of pharmaceutical-grade health supplements is very, very rare and uncommon for a supplement business (most health companies just outsource their manufacturing, slap on a label and start marketing, but Xtend-Life doesn't do that). This leads to you getting the highest level of health supplements (which is pharmaceutical grade products) without the side effects that are prevalent in pharmaceutical drugs. Also, Xtend-Life adds a very expensive process that is also rare for many medical and supplements manufacturers - they add an enteric coating (most manufacturers just spray on a pharmaceutical glaze) to their health supplements - this will protect the ingested health supplements from the harsh acidity of the stomach acids and allow the supplement to travel safely to the upper abdomen where it will be properly absorbed by the duodenum, into the bloodstream, where it is rapidly sent to the entire body for maximum assimilation and absorption. This is what that leads to the maximum health and wellness from any health supplements. Health supplements that don't have this enteric coating tends to be destroyed in the stomach (the acidity is very, very strong) and then will be cleared from the system by urination (evidence by one's urine turning deep yellow). External neutral lab test Alkemists that are based in United States have tested and proven that at least 80% of nutrients in the tablets are assimilated and absorbed by our bodies. This 80% number is also guaranteed by Xtend-Life, which say that they've double confirmed that percentage with their own inhouse clinical and lab testings. I’ve been using your Total Balance and Lipi-Rite products so I know you produce quality products. I will be using your Immu-Stay product during cold and flu season to bolster my immune system. Vitamins for the immune system is needed today, in my opinion. what is the price for Vitamins for my Immune System? One bottle of the Xtend-Life Immu-Stay is priced at $35.00 USD. You can buy Immu-Stay directly from Xtend-Life here at your discretion. Immu-Stay has 90 enteric-coated immune-boosting tablets in each bottle. According to Xtend-Life, it can last for 30 days (3 tablets per day) or 15 days (6 tablets per day). For me, as it's more of a preventative, I will take 3 tablets per day as it will stretch out each bottle to last longer BUT if I do feel that a flu is coming or if I feel under the weather, I will take the 6 tabs per day, split into 2-3 doses so it's spread out throughout the day. Xtend-Life delivers to anyplace in the world, and offers free shipping for any orders that are $60 USD and above. Any orders below $60 USD, there will be a $6.50 USD shipping and handling fee, also to anywhere in the world. immu-stay Vitamins for immunity and Immune System: Is There a Guarantee? I always get excited when people ask me this - the answer is yes, there is a 365 days money back (or full product replacement) guarantee - your choice if you want the refund or the product replacement. 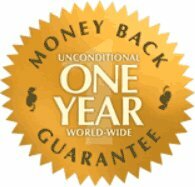 Any companies that is able to provide 1-3 months money back guarantee is considered good, but to offer a full 365 days guarantee - Xtend-Life is very confident indeed. No review would be complete (and honest) if it doesn't cover any negatives or complaints about the product. Based on product quality and efficacy, Xtend-Life's Immu-Stay / Viral-Protec has a group of loyal customers who has continued immunity boost from using it. There is no real product-result complaints. The only complaint is of its price. Xtend-Life says that their products are competitively priced because of the quality of the products (GMP and FDA compliant, raw ingredients certification) is high and they keep the costs low by selling direct (via affiliates like myself) to ensure that there is no rental/staffing costs that inflates the price (anytime and everytime you purchase a product, it'd be shipped directly from their facilities in Christchurch, New Zealand). This is important to note because it's very easy for anyone to manufacture supplements and skincare by outsourcing to OEM manufacturers, then slap on labels and sell them, but you do not control the ingredients, the processes - anything. Xtend-Life 100% owns the facilities they manufacture their health supplements and skincare products from, and so they can ensure compliance to GMP and FDA standards, as well as ensuring raw ingredient quality. Also, being GMP and FDA compliant means that their supplements are pharmaceutical grade (this means high level compliance to processes, ingredients, staffings, facilities); and some of their manufacturing processes such as the herbal extraction processes, even meets British Pharmacopeia standards. Being a health professional, these compliance are of very high standing, and would gain approving nods from any medical professionals just based on these processes alone. Where Can I Buy The Xtend-Life Immu-Stay? You can buy Immu-Stay directly from Xtend-Life here but you are free to choose. I hope the Immu-Stay review has been helpful.